Egypt's main opposition bloc says it will boycott upcoming elections because their transparency cannot be guaranteed. Egypt's main opposition bloc said on Tuesday it will boycott upcoming elections because their transparency cannot be guaranteed, as President Mohammed Morsi urged dialogue to ensure the polls are impartial, AFP reported. "The decision of the Front, unanimously, is to boycott the elections," National Salvation Front member Sameh Ashour told a news conference in Cairo after a meeting of the alliance, which groups mainly liberals and leftists. Ashour said the decision had come after NSF demands, including the formation of a new government "to save the country," had been ignored. "There can be no elections without a law that guarantees the transparency of the electoral process... without a real independence of the judiciary," Ashour said as opposition activists broke out into chants against Morsi's Muslim Brotherhood. Leaders of the opposition alliance have been locked in heated debate over whether to take part in the staggered parliamentary elections, members said. Mohamed ElBaradei, a prominent member of the Front and former head of the UN atomic agency, issued his own boycott call on Saturday. "Called for parliamentary election boycott in 2010 to expose sham democracy. Today I repeat my call, will not be part of an act of deception," the Nobel Peace laureate wrote on Twitter. The NSF also shunned a national dialogue called for by Morsi aimed at putting in place "guarantees for the transparency and fairness of the elections." "Of what guarantees can we speak today, while we have been refused an impartial government able to apply these guarantees," said Ashour, according to AFP. He accused the Brotherhood of wanting to "politically kidnap Egypt, to monopolize its institutions and dominate all the state organs." 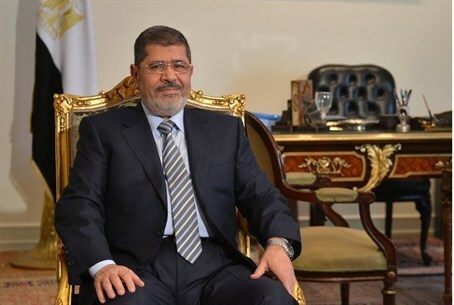 But Morsi, attending the dialogue, said it was aimed at "ensuring that these elections will be carried out with the highest degree of transparency and impartiality." In remarks aired on television, Morsi told the opening session the dialogue was "still open" to all of those absent Tuesday. Christian communities -- Copts, Roman Catholics and Protestants -- had also said they would not take part, and asked Morsi to discuss their dispute over the divisive constitution that he pushed through, the official MENA news agency reported. The Brotherhood and its Islamist allies had clinched an overwhelming majority in the legislative polls in the winter of 2011 and 2012, but the parliament was later dissolved when a court found irregularities in the voting system. The NSF organized massive protests against Morsi in November and December after he adopted now-repealed powers that shielded his decisions from judicial review. But anti-Morsi protests have slowed since he pushed through an Islamist-drafted constitution in a December referendum, with the mass rallies giving way to smaller, and often violent, protests. Initially, the elections were set to begin on April 27, with a new parliament to convene on July 6. The dates conflicted with the period running up to and including Coptic Easter, prompting Morsi to announce new ones "in response to requests by Christian brothers," a reference to the Coptic Church.